Not to be confused with Rogers Arena in Vancouver, or Rogers Centre in Toronto. Rogers Place is a multi-use indoor arena in Edmonton, Alberta, Canada. Construction started in March 2014, and the building officially opened on September 8, 2016. The arena has a seating capacity of 18,500 as a hockey venue and 20,734 as a concert venue. 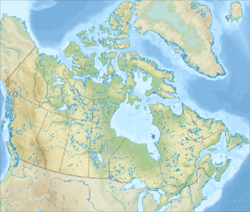 It replaced Northlands Coliseum (opened 1974) as the home of the NHL's Edmonton Oilers and the WHL's Edmonton Oil Kings. The arena is located at the block between 101 and 104 Streets and 104 and 105 Avenues. Public transit access to the arena is provided by the Edmonton Light Rail Transit system (MacEwan station on the Metro Line) and Edmonton Transit Service bus. The arena building was initially estimated to cost $450 million. The City of Edmonton was to pay $125 million, the Katz Group of Companies was to contribute $100 million, and $125 million was to come from a user-paid facility fee. The remaining money was expected to come from the province or federal agencies. Estimated cost then increased substantially during continued discussions to a current estimated price of $480 million for the arena, and $604.5 million for the entire project. 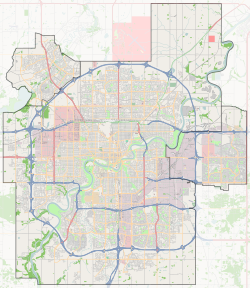 On October 26, 2011, the Edmonton City Council approved a funding framework for the arena by a vote of 10 to 3. A year later, however, with costs escalating and the Katz Group making increasing demands, the city passed a motion to end negotiations with the Katz Group and to seek out a new deal or find other options but would still be open to communicating with Daryl Katz for future talks. On May 15, 2013, the Edmonton City Council passed a deal that saw the City of Edmonton, and Oilers owner Daryl Katz each put in more money to offset the $55 million shortfall needed to build the new downtown arena. Katz chipped in an additional $15 million through the Edmonton Arena Corporation and another $15 million came from the Community Revitalization Levy (CRL). On December 3, 2013, Rogers Communications announced a 10-year naming rights deal for the new arena, henceforth known as Rogers Place. Rogers Place is one of three Rogers-branded sporting facilities in Canada (and one of two in the NHL), alongside Rogers Centre in Toronto and Rogers Arena in Vancouver. A new agreement was reached on January 23, 2013 between the two parties on moving forward with the arena. On February 11, 2014, it was announced that the project was completely funded, and would go ahead. Construction of the new arena broke ground in March 2014. The arena triggered a "hospitality explosion" downtown before ground was even broken, as businesses competed for properties around the arena site. In early 2014, there were far fewer options to lease or purchase as competition mounted, including Brad J. Lamb, who announced a $225 million pair of new condo towers. By December, it was estimated that $2.5 billion in downtown development had been directly connected to Rogers Place. On July 13, 2015, it was announced that the arena district would be officially branded as Ice District, spanning from 103rd Avenue to 106th Avenue. Ice District has ranked as the fastest growing arena district in the history of similar projects. Rogers Place officially opened on September 8, 2016. The first ever hockey game played in the arena featured the Edmonton Oil Kings taking on the Red Deer Rebels in a WHL match up on September 24, 2016. Trey Fix-Wolansky scored the first ever goal in the arena at the 0:22 mark of the second period as the Oil Kings would go on to win the game in a shoot out, marking the teams first win in the new building. The Oilers played their first game on October 12, 2016, against their nearby rivals, the Calgary Flames. Prior to the game, there was a pregame ceremony featuring former Oilers Wayne Gretzky and Mark Messier, where a statue of Gretzky was unveiled outside of the arena. Patrick Maroon scored the first NHL goal in the arena, as the Oilers went on to defeat the Flames 7-4; earning their first win in the building. The Oilers' first season in the arena saw them qualify for the playoffs for the first time since 2006, ending an 11-year playoff drought. The first playoff game was played on April 12, 2017, where the Oilers lost in overtime to the San Jose Sharks 3-2. Two days later, the Oilers picked up their first playoff game win at the arena by defeating the Sharks 2-0. ^ "Katz Group, Sports and Entertainment". Katz Group of Companies. Retrieved September 8, 2014. ^ Neufeld, Lydia (16 May 2016). "Scoreboard for new Rogers Place will be largest in the NHL". CBC/Radio-Canada. CBC News Edmonton. Retrieved 12 September 2016. ^ "Construction on Rogers Place Begins". CTV Edmonton. March 3, 2014. Retrieved March 4, 2014. ^ Staples, David (January 16, 2012). "With 360 Architecture, Edmonton's Arena Project Will Have the Right Designer". Edmonton Journal. Retrieved May 17, 2013. ^ a b c d e "Edmonton Arena" (PDF). Thornton Tomasetti. Retrieved June 7, 2013. ^ Stolte, Elise (January 16, 2012). "Downtown Arena Project Moves Forward with Project Manager and Architect Choices". Global News. Archived from the original on 2012-10-25. Retrieved January 22, 2012. ^ "Most exciting phase of downtown arena construction begins". Edmonton Journal. September 30, 2014. Retrieved February 26, 2015. ^ "PCL Chosen to Build Downtown Arena". CBC News. April 13, 2012. Retrieved April 15, 2012. ^ "Rogers Place Hockey Arena". Government of Alberta. Government of Alberta. Retrieved 12 September 2016. ^ Jones, Terry (April 17, 2014). "With Rogers Place Plans, What You Can't See Is Just As Strong As What You Can". Edmonton Sun. Retrieved April 17, 2014. ^ Salz, Allison (June 2, 2014). "Edmonton media get sneak peek at downtown arena construction site". Edmonton Sun. Retrieved June 2, 2014. ^ "Oilers, Edmonton Set Arena Finance Plan". ESPN. Associated Press. May 19, 2011. Retrieved November 7, 2011. ^ "No Promises from Province on Edmonton Arena Money". CBC News. May 19, 2011. Retrieved November 7, 2011. ^ a b Parrish, Julia (February 11, 2013). "City announces downtown arena budget met, work on Rogers Place to move forward". CTV Edmonton. Retrieved February 12, 2014. ^ "Council Approves Downtown Arena Deal". CBC News. October 26, 2011. Retrieved November 7, 2011. ^ "Edmonton to End Arena Talks with Oilers' Owner Katz". CBC News. October 18, 2012. Retrieved January 26, 2013. ^ Parrish, Julia (October 17, 2012). "Council Votes to Cease Arena Negotiations". CTV Edmonton. Retrieved January 26, 2013. ^ "Edmonton City Council Passes New Arena Deal". CBC News. May 15, 2013. Retrieved June 7, 2013. ^ "Downtown arena will be named Rogers Place". CBC News. December 3, 2013. Retrieved December 3, 2013. ^ "Final Piece of Funding for Downtown Arena Approved". City of Edmonton. May 15, 2013. Archived from the original on 2016-03-04. Retrieved June 7, 2013. ^ Mertz, Emily (23 January 2013). "Edmonton city council approves arena framework with Katz Group". Corus Entertainment Inc. Global News Edmonton. Retrieved 1 May 2016. ^ Kent, Gordon (February 11, 2014). "Downtown Arena Gets Green Light for $480M". Edmonton Journal. Archived from the original on 2014-03-02. Retrieved February 11, 2014. ^ "Rogers Place construction starts Monday". CBC News. March 3, 2014. Retrieved April 16, 2016. ^ Hicks, Graham (October 11, 2013). "The Downtown Hospitality Explosion". Edmonton Sun. Retrieved January 9, 2014. ^ Lamphier, Gary (March 12, 2014). "Condo Projects on the Rise in Shadow of Edmonton's New Arena". Edmonton Journal. Archived from the original on 2014-04-19. Retrieved May 8, 2014. ^ Tumilty, Ryan (December 8, 2014). "Edmonton seeing $2.5 billion in downtown development connected to new arena". Edmonton Metro. Retrieved January 31, 2017. ^ Mah, Bill (July 13, 2015). "Oilers CEO says Ice District a 'crisp and clean' new name for arena district". Edmonton Journal. Retrieved July 14, 2015. ^ Staples, David (May 27, 2015). "Edmonton Arena District is the fastest growing arena district in the history of such mega-projects". Edmonton Journal. ^ "Rogers Place grand opening photos: Dancers, tours, speeches — even the Great One was there". Postmedia Network Inc. Edmonton Journal. 9 September 2016. Retrieved 12 September 2016. Wikimedia Commons has media related to Rogers Place.